In the Summer of 2010 I helped guide an education expedition to Baffin Island. Organised by Antony Jinman for his social enterprise company Education Through Expediiton, the expediiton ventured into the same part of Baffin Island as our Baffin Island 2008 expedition. The expedition took nine students and/or recent graduates to experience the Arctic: it's environment, people and the troubles that it is faced with. Click here for expedition map. Four weeks in the Canadian Arctic, trekking one of the most spectacular valleys in the world. We spent 5 days and nights living on one of the glaciers. Our journey up the glacier was abruptly stopped by this giant chasm that stretched the width of the glacier. An ancient and traditional marker made by the Inuit to help guide travelers home. Arctic Carp are dried in the strong Arctic sun for later. A polar bear tooth peaks out of a tear in a black bag. This skull kept by the hamlet science officer offers valuable information on the life of the bear. He was killed a few months earlier for coming too close to the community. A traditional dish for the summer. Arctic char is gutted, chopped and boiled in sea water. In August 2010, a team of students, graduates and outdoor instructors spent one month on Baffin Island, trekking over 300km over tundra, morraine and glaciers. During the expedition I asked them: Why should we care if the climate changes? 3 weeks of hauling 25-30kg packs through bog, tundra, moraines and over glaciers. My ankles, knees and hips didn’t appreciate any of this but the scenery was incredible and I gained a much deeper understanding of the Inuit culture. The Inuit people are fantastic, we lived with them for 5 days. We ate seal meat and raw, dried and boiled char (very like salmon)…although I wouldn’t recommend the fish eyes – too chewy and they burst in your mouth *bleurgh*. We watches Bowhead whales swimming amongst the remainder of the sea ice in the bay and the small community of Qikitarjuaq (500 people) buzzed with excitement/fear as a polar bear was spotted on the outskirts of the hamlet. A 3 hour boat ride took us to the end of the fjord as seals swum playfully in the water. 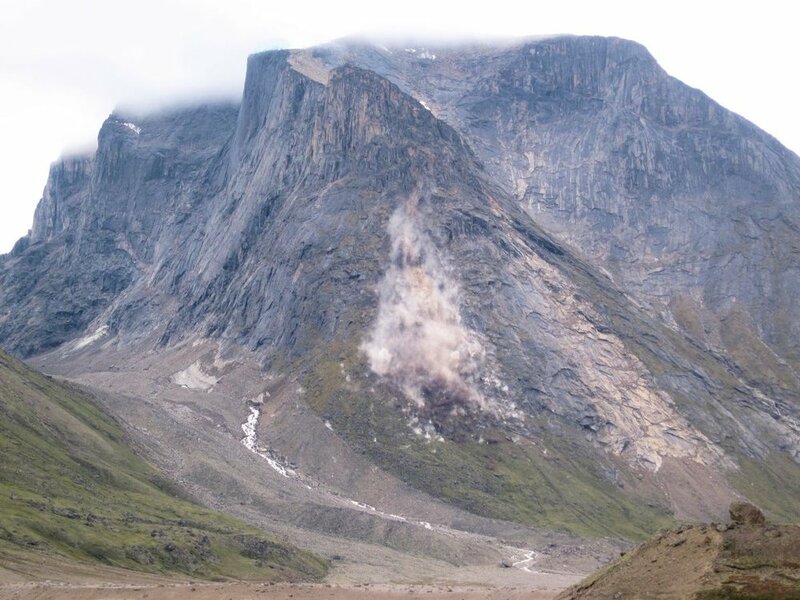 Once in the pass the peaks stretched a vertical kilometre from the valley floor and almost every day we saw chunks of rock the size of family cars…the size of houses, plunge down the frost shattered peaks and explode into pieces. We saw tundra alive with colour, arctic poppies, blueberries, lemming scurrying down burrows, wolf spiders, arctic hare (glaringly obvious in their white coats against the summer rock and tundra), geese honking as they launched into flight, ravens shrilly crying as they swooped through the sky, snowy owls and polar bears (luckily from a distance). We climbed steep terminal moraines over 50 metres high, crossed rivers carrying vast quantities of silt and the occasional chunk of ice as they powerfully eroded their banks. In the afternoon they rose with the melting of the ice, so high and fast they were uncrossable and boulders could be heard rolling in the river bed. On the glacier we saw vast chasms carved by the melt water, picked our way carefully between the crevasses which enticed us to gaze into their deep blue gashes. Medial moraines stretched as long brown streaks down the glacier. As we slept in our tents, pinned down by ice screws ad rocks that we had gathered from the glacier surface, the glacier groaned and moved beneath us, it shuddered and creaked and the rivers roared like jet engines throughout the night! Today we had a day in Pangnirtung, which is awesome! We got to go to a local hotel and we tasted tea with milk for the first time in four weeks; coffee, proper coffee; toast, jam, orange juice, it was amazing! We spent the day in Pang looking at a printing studio and Inuit craft. Some of us went to the store and had a look round there. We went to the library and read some of the papers and the books. Climate change is a massive issue in all the literature in Pang, and how climate change is affecting hunting and the culture, and the permafrost on which the communities are built, and what’s happening in those communities. 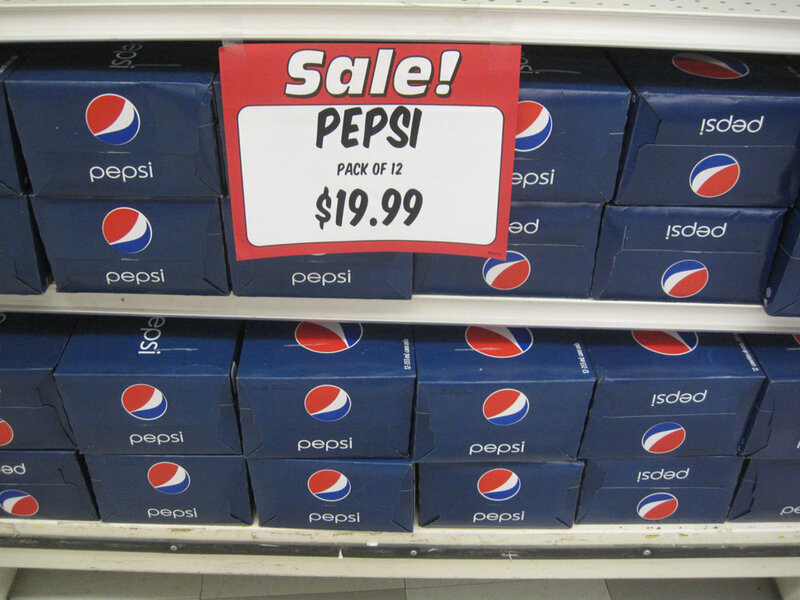 We went to the store and were surprised by the prices of some of the things there. For example, a small bag of Haribo cost $6, (£3.70) a packet of 5 disposable razors $35 (£21.50) and a little tub of ground pepper was $10. We started rummaging through the bargain bin and got ourselves some tortilla wraps and bread, which we ate with our freeze dried meals in the evening. They cost us less than a dollar each, absolute bargain. In the afternoon, whilst we were there as well, our camp site had turned into a bit of a kid’s playground because it was the first day back at school for all the children in Pang, and they were having a big barbecue with a camp fire. We talked to some of the secondary school teachers and other people in the community. We had some seal meat, which is a dark meat but had a strong fishy taste, but it was delicious we also drank a seal stew made from the juices of the seal meat, i’m not sure what else was in it, but it tasted very good anyway. In the evening we watched an elder make an Ulu, this is a knife that is used for food preparation. It had a very sharp semicircular blade. Some of us bought an Ulu too. We sorted out our equipment and packed our bags, ready to fly to Ottawa tomorrow. Tonight will be our last night in the tents. Tomorrow will will have our first shower in a month. Today we’ve arrived at our base camp location, before travelling off into the glaciated valleys and hopefully the Penny Ice Cap here on Baffin Island. It’s been a fantastic day, and I’m really pleased by the effort that the Team has put in, in order to get this far in the expedition. The entire length of the Auyuittuq Pass is 97 kilometres, and over the past 6 days we’ve hauled all of our food and ice climbing equipment a total distance of 140 kilometres, as we have twice as much equipment as we can carry, thereby walking the same ground 3 times to bring up all of our equipment and establish our cache here in one of the best mountain locations I think I’ve ever seen. We are camped in a moraine field, coming off the Highway Glacier, in a bend in the Auyuittuq Pass that has 4 glaciers meeting and converging at this one point. The mountains around us tower over 1000 metres above us and are very jagged and raw. In fact, there has been rock falls coming down this evening and it’s just been absolutely stunning. In the past 4 or 5 days, the temperatures have been shocking! A surprisingly very, very warm 19-20°C, making the colours and the scenery really come alive; all of the flowers are in full blossom. It’s an amazing part of the world! I’m really looking forward to cracking on with the expedition phase and exploring a region of the Auyuittuq National Park which isn’t at all visited by people. Today we made it up to the hut, so we have done around 14 kilometres today. We have finally caught our first glimpse of Mount Asgard and the main glacier we will be heading into over the next couple of weeks: absolutely stunning. Mount Asgard is huge! It has been a little bit easier today on the terrain. Everyone has been really aching after the last couple of days; it has been really hard work. Tomorrow will be our last heavy day of hauling up stuff. Hopefully after that it will be a bit more fun. We will be getting into the glaciers, climbing mount battle, having a good luck around and doing a bit of ice climbing. We have just got to haul everything up tomorrow. Get it all across the last major river crossing. Then we can start sorting everything out. Yesterday we skated away from June Valley hut. We walked from the June Valley tents down Owl River with a light pack. The return was far from light; we loaded our packs with 16 days of food and covered over 30 kilometres in total. Today is a rest day and we are planning to walk to Glacier Lake, which is 15 kilometres away. The tundra is amazing: there is so much colour in it. The flowers blooming, ravens calling out as they trail the skies, geese honking and jabbering away as they launch into flight. The tundra has got so much colour in it. Each moss is a different green, arctic willows standing tall, seed heads drifting on the wind, blowing down the dried up river bed and out of sight. Thank you to everyone who supported me in getting here, this place is absolutely amazing. Just in my tent now, I am at the base of the valley here it is only 200m above sea level and I can see a peak that is only about 100 metres in front of me, which stretches over a kilometre straight up into the sky. Just a sheer rock face reaching right up. The river winding through the valley is carrying silt from the glacier, that is travelling back to the fjord where we began our expedition. It is an incredible place. Just lying in bed at night I can hear the rivers tumbling down from the hills, I can hear rocks falling. A crack of rock in the distance. Sometimes you can see these boulders coming off the mountain. It is such an incredible place to be, there is so much going on. Sometimes I feel I am on a movie set, just because I cannot comprehend how big everything is. It feels like it is painted on in the background. It’s just amazing. I’d really like to thank everyone who made this possible. The Rotary Club of North Wirral supported the expedition, Gwydyr Mountain Club contributed towards the cost as well. The people who supported me through my fundraising and people who gave individual donations to the expedition. Camera Solutions in Chester who also helped me collecting a camera. And to everyone else who gave their time and effort in making this happen. Also, to the schools that are supporting me while I am out here and are interested in the resources when I get back. Most of all to my parents. Love you lots and see you in three weeks! We are at June Valley hut. We have walked today from the North Pang hut to Owl River, and then across all the way to June Valley hut, about 30km through the pass. It has been fantastic weather, a slight breeze blowing. We have walked through mainly bog conditions and a kind of boulder distributed grassy floor. We have passed many glaciers, and bare steep rocky slopes. During the trek we flushed up two snowy owls, which I was really excited about! I thought this was fantastic. Snowy owls are an arctic breeding bird. They are a very large bird of prey and in summer they are completely white. They breed on the tundra and hunt lemmings, arctic hares and geese. It remains to be seen how species such as the snowy owl will fare in times of modern climate change. Their habitat is changing greatly as the complex ecological interactions on which they rely for feeding and breeding up here alter. They rely on the lemming ecology, hare ecology and geese ecology, which in turn rely on a stable seasonal balance of tundra ecology. They are just representative of other species which may decline as a result of modern climate such as the rock ptarmigan, the ivory gull, the ivory gull diver, the arctic red gull and many mammals. We are currently at the start of the pass at the North Pang huts. The last few days have been really, really busy. On the 8th we set off from Billy’s hut. After doing some ice training, we got all our ropes packed and crampons sorted so we can be nice and safe up on the glacier. We also had some last-minute Arctic Char, which was very nice. It was great to have some fresh food before we left on the main trip. Billy dropped us off down to the pass on his boat, which took about 2 hours. It was really cold and wet, which was quite unfortunate! It was so soggy but there was some beautiful scenery, and we’ve seen some great waterfalls and absolutely massive mountains. It’s just really inspiring to be here. Yesterday was the start of our main trek; it was a quite a busy day to be honest. We got up early and set off with our food and ice kit and trudged across eight miles of bog towards the second mountaineering hut. It was pretty hard work: the bog is like walking in 3 feet deep of wet sponge, which is quite tiring for 4 or 5 hours on the go. We also had to do some river crossings, which required a lot of team work. It was a lot of effort and involved taking our trousers off, wading in cold water up to the thighs, putting wet suit boots on and crossing the river as safely as possible with our massive packs on. I really enjoyed it though; such hard work but I think we really came together as a team during yesterday’s activities. Once we got to the second hut, we managed to drop all our kit off. Unfortunately we had to walk back to the beginning of the pass for the rest of our kit, which we are hoping to pick up and transport today. We were really tired yesterday and I think although everyone found it really hard, but it was great fun and we had a lot of laughs along the way. Once we got back here we managed to set up camp in the wind and the fog. The fog is so low you wouldn’t believe it. You walk through it constantly. It’s cleared up this morning and we have beautiful bright skies with a good amount of Arctic sun. We are all having a great time. The plan for today is to hopefully move the rest of our kit and food down the 8 miles again, back along the same route in the bog, to the second hut and stay there this evening. We are all doing well. Lots of love to everyone at home and see you soon. We are still at the hut and have had a fantastic day! We went on to a hill nearby and on the way up we saw lots of different types of rock and things like that, and lots of different lichen. We also saw a bit of the skeleton of a polar bear cub. Once we were on the top we got a fantastic view of all the surrounding fjords, a few of the rapids and the areas that we have been swimming and walking. We also got to collect lots of blueberries on the way and then this afternoon after lunch we went out on a polar bear safari! It took about half an hour to go out and it was really quite cold on the boat. We had these huge, big, orange submersion suits on, but it was absolutely amazing! When we got there we managed to see three polar bears, a mum and two of her cubs. Apparently the cubs are a couple of years old. We saw them quite low to the water but as soon as they saw us they scurried up the valley. Then they stood on top of the cliff just looking down at us and we managed just to float along for a bit and took quite a lot of pictures. We managed to just really enjoy the moment and it was so, so exciting. It was the first polar bears some of us in the team have ever seen. It was just magical. A really, really big highlight of the trip so far. Absolutely fantastic! Then we came back, got pretty cold on the way back even though we had all our layers on, because the wind temperature coming off the cold water makes it very chilly. We got back and got into the tent and made a brew and things. This evening we are lucky enough to have some barbequed Char that Daisy has prepared for us with a homemade marinade which is fantastic. Altogether the trip is going really, really well, everyone is really happy and well fed and everyone is enjoying it a lot. Tomorrow the plan is to chill out for the most of the day and then, depending on Billy, hopefully head into the pass to start our trek. We are currently sat outside Billy’s hut, which is on the coast a couple of hours away from Qikiqtarjuaq. We got here yesterday on Billy’s boat , which took about 2 hours. We had to wear giant, fat thermosuits to keep us warm, but it was a really great boat trip: amazing scenery, big mountains. Since Antony last posted, lots happened in Qikiqtarjuaq; lots of packing. We had amazing hospitality from everyone there. We were allowed to camp in the back of the Consultation Offices’ garden so that we were safe from the Polar Bears on the coast. The policeman let us do our packing in his garage when it was raining. We had the amazing luck of seeing bowhead whales just off the coast, about four of them engaged in mating rituals. We could see them really clearly, even the marking on their faces as they came right out the water. They did some breaches, lots of tails, and huge fins. It was amazing. We are now out on the land. We had a bit late start getting here because Billy’s boat is a bit broken. That gave us a great opportunity to wander around Qikiqtarjuaq getting to know some of the people. They all really, really kind. Heard some Inuit throat singing and lots of the native language, Inuktitut, which is really different from anything else that I have heard before. Having a nice relaxing time out at Billy’s which is where they come out to hunt and live off the land. We’ve caught some Arctic Char! We put the net out last night and we had five Arctic Char in it this morning, which are huge, very red inside like Salmon. You can eat them. The Inuit hang it up to dry and we tried some of it yesterday which was delicious. Tastes like smoked Salmon. This morning for lunch we had it as boiled Char, which is equally delicious, very like Salmon. A few of us tried eyeballs, which were interesting but a lot better than they sound. It was the texture more than anything that got us all. We are just building a big campfire now, making the most of our last relax before we head up into the pass and start loading our food into it, which will be the toughest thing we have done so far, because it has been mostly packing and observing the amazing scenery around us. Tomorrow morning, we are going to head out on Billy’s boat to try to see some Polar Bears, which will be fantastic if we manage to do that. We’ve got Billy’s dog here, you just have to say the word and he is fully on guard. Girls took a dip today in the freezing water but the boys didn’t go in. So we had a nice wash after five days! Just finished dinner and are going to have a bonfire! We have had a really busy few days, beginning with flying from Heathrow in the UK to Ottawa. Once we got to Ottawa, we spent two days packing all of our food and equipment and kit, and then we took a flight up to Iqualuit on Baffin Island. Once in Iqualuit we took a DC-3, which is an old cargo plane with two props and some seats in it. We then flew from Iqualuit to Pangnirtung, and then from Pangnirtung to Qikiqtarjuaq, which is where we are camped right now. Qikiqtarjuaq has a population of just 500 people, so it is a very small little hamlet just on an island off the coast of Baffin Island itself. It’s amazing! We landed, and there is icebergs floating in the bay and bowhead whales swimming around them. Over the past few days it has been really hard work, but we are finally here and this is the start of the Baffin Island Expedition. We are now here on location. Everyone is well, everyone is really happy to be here. Over the next few days we will be having our inductions with Parks Canada, sorting out the remainder of our kit and planning our route. We are then going out to live with an Inuit family for a few days on the land, learning about the Inuit culture, their history, life and how they perceive climate change to be effecting this part of the world. We will then head into the Auyuittuq national park and begin the expedition phase of the project. So we are here in Qikiqtarjuaq, we are very happy to be here, the sun is shining and it is all good. I am still stuck in Pangnirtung, tried 7 times now! Pangnirtung has been unreachable today but Qikiqtarjuaq has been fine! It looks like I may end up getting there at exactly the same time as the rest of the group. I’ve tried to get to Qik [Qikiqtarjuaq] 3 times now! each time the plane couldn’t land and has had to turn around due to bad weather! This has meant I have been stuck in Pang [Pangnirtung], which is beautiful. A local woman is kindly putting me up for a couple of nights since the hotel is outrageously expensive. Hopefully I can get to Qik tomorrow. The bad weather there is supposed to have lifted greatly by Monday, so no problems anticipated for the others’ arrival.